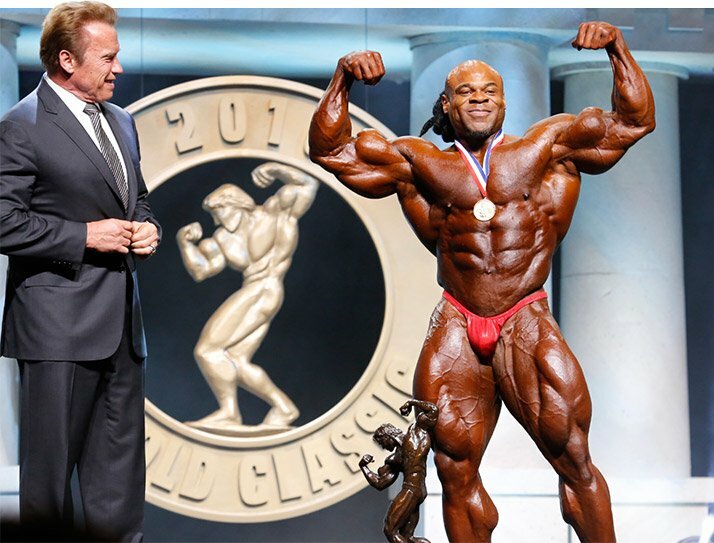 Kai Greene Wins Third Arnold Classic Title! In the main event at the 2016 Arnold Sports Festival, the bodybuilder known as The Predator vanquishes a highly competitive field. Kai Greene of Brooklyn, New York, edged out Cedric McMillan of Heath Springs, South Carolina, to win his third Arnold Classic, the marquee event of the 2016 Arnold Sports Festival. Greene, who also won the Arnold Classic in 2009 and 2010, joins five-time winner Dexter Jackson, four-time champ Flex Wheeler, and three-time winner Jay Cutler as the only men with more than two Arnold Classic trophies. Greene received congratulations from Arnold Schwarzenegger, a check for $130,000, a Tony Nowak official champion''s jacket, and the champion’s trophy from Eric Hillman of Europa Sports Products and Eric Torgeson of EAS. McMillan received $75,000 and a medal from Ultimate Nutrition and MHP for his second-place showing. Josh Lenartowicz, who burst onto the pro bodybuilding scene when he won pro shows on back-to-back weekends late in the 2015 season, finished a surprising third. Lenartowicz of Australia received $50,000 from Muscle & Fitness and Jan Tana. Justin Compton, who finished third in the Arnold Classic in 2015, was fourth and received $30,000 from Optimum Nutrition and Body Fortress. Branch Warren of Copper Canyon, Texas, who won the Arnold Classic in 2011 and 2012, finished fifth and received $15,000 from Blackstone Labs and Rule One Proteins. Juan "Diesel" Morel of Deer Park, New York, was sixth in his long-awaited Arnold Classic debut and received $10,000 from Lone Star Distribution and Quest Nutrition. 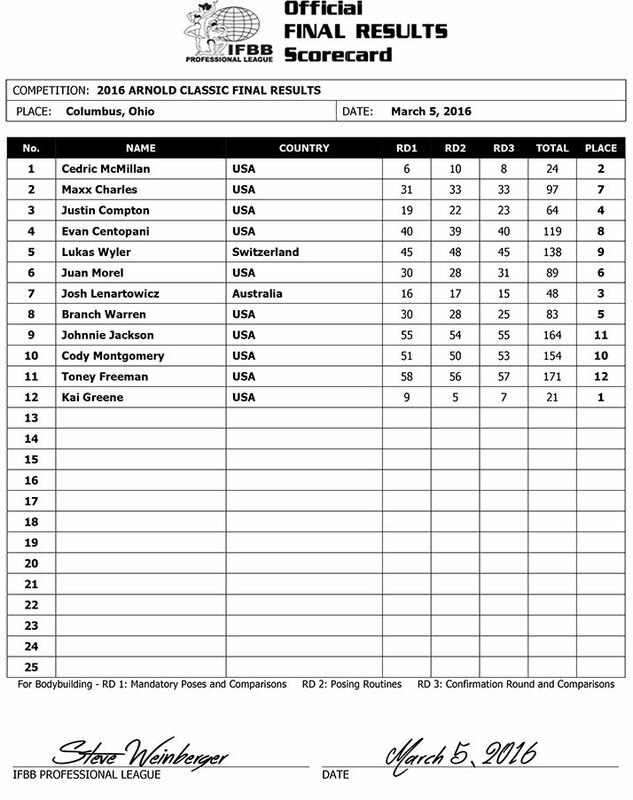 Also competing and placing seventh through 12th, respectively, were Maxx Charles of Huntington, New York; Evan Centopani of Trumbull, Connecticutt; Lukas Wyler of Switzerland; Cody Montgomery of San Antonio, Texas; Johnnie O. Jackson of Hurst, Texas; and Toney Freeman of Canton, Georgia.